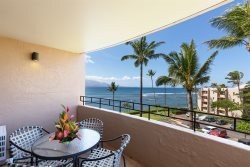 I Go Maui Vacation Rentals & Realty offers you more than just a place to stay! The following Maui information is provided to enhance your vacation and to help make it a treasured memory! ** Must be requested and purchased prior to arrival for scheduling. Cancelations must be made prior to arrival. Canceling during your stay, there is no refund. If requested during your stay, services may not be available. Must allow for 1 week notice and paid for at the time of scheduling. No cancellation, No refund. ** If there is a special requested date we will do everything we can to try and accommodate. We will submit your request and notify you of the date and time of service. ** Services are provided between 9 a.m.-3 p.m. Mon - Fri.
$225.00 “MID-STAY FULL CLEAN” just like you experienced upon arrival! Includes a complete full services clean including washing of all linens and bed changing. Please leave a key in the lock box for your Cleaning Fairy to get in. Please keep clutter at a min so they can easily service your condo. Housekeeping will arrive while you are away so they can work their magic “uninterrupted” leaving it clean and refreshed for your return. Refresher requires approximately 1 ½ - 3 hours depending on the size of condo. hours and Full Clean requires at least 4 hours. You will be emailed day before or morning of service to confirm approximate time. I GO, YOU GO, LET’S ALL GO TO MAUI!